Having a PDF management system, which allows in-app citation (e.g. WORD, Pages, Mellel, …), is a necessity for scientists and researchers. On OSX, we have the chance of having the choice between extremely well-design and efficient applications such as Sente, Mendeley and yes, Papers (there are of course free options, as always it depends how much time you want to spend working with your tools relative to working on your tools!). In the past I have used Endnote, Zotero, Sente and finally settled for Papers starting at version 2.0.8 for its extremely well thought-of citation mechanisms, PF editing options and nice interface. A review is available here in the e-office series. Zoom to the latest version (still a beta) of Papers. Yes the interface changed quite a lot, both on OSX and iOS. Mekentosj seems to have adopted the design element of iOS 7 as a reference across the board. Quite frankly, the only thing I do not like in iOS 7 is the color scheme used for certain icons. Otherwise, I like it very much: it is clean, simple, introduced great new stuffs and does not get in the way. Below are the screen captures for iOS version of Papers and Papers3. So, you say great this guy love Papers 3. Not at all. Design change you can get use to it (assuming it is for the better) but key missing feature is a problem. Papers 3 allow syncing via DropBox or import/export of the whole library…Gone is the great WiFi sync of the previous version. Why it is this important? My library is large, closing in 5 Gb. I do not want to put that on DropBox (or on any servers for that matter) nor do I need to have all of that in the Cloud. The DropxBox options look interesting for a small library but for large libraries I am not convince and I feel it is unnecessary to pay for cloud storage space to store my library (this is why I do not like Mendeley for example). Even my library at close to 5 Gb is not that large and only contains over 4000 entries. So it might or might not happen in the future. For now, I would think that this is a big deal for users with large libraries. I reverted back to Papers2 like a number of my colleagues. Previous Post: Half-full or half-empty? Just a heads up – Papers2 no longer works under macOS Sierra 10.12. I wrote Mekentosj Support and got an unofficiel Papers2 2.8.2 build which works under Sierra. So far everything seem to function as under El Capitan, except that text annotation is non-functional. Interesting – I’ve stuck with mac os x 10.9.5 and papers2 2.8.1 for the moment, distinct lack of hardware and budgetary resources. 281 was provided when I queried someting about teh web of science repository in 2.73. I have no idea what the later changes are, so use with some caution. Yeah, the build in software update also gave me the 2.8.2 a couple of days later, so at least it is running now. Unfortunately, a few minor bugs more have appeared, as text selection for annotations is now not functioning at all anymore. Papers 3 has now been acquired by Labtiva but development seems to proceed at a crawl. UI bugs have not been corrected and import of keywords/tags has still not been implemented (used to be a feature of Papers 2). 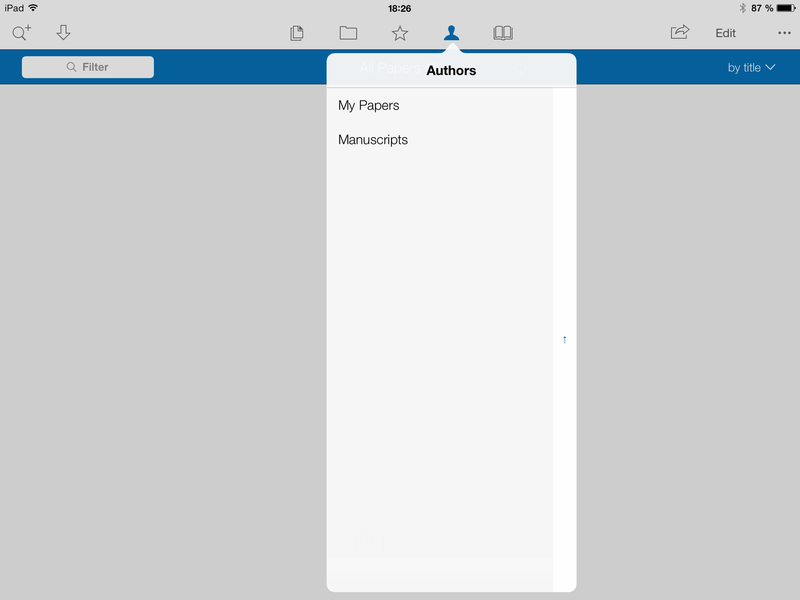 With Sente being possibly discontinued, is Papers 3 the only option? There is always Zotero or Mendele…I must say that I do find the latest version of Paper 3 usable (contrary to the easier V3 release). I have also encountered issues with Papers3 (used Papers1 before, no choice to get Papers2 anymore when migrating to new computer). There obviously is no easy way transfer larger libraries between two computers (when dropbox is too small). Export/Import works, but looses the old import dates (which I want to keep). Now, the Wifi sync works again, I haven’t tried it, since the two computers will be in totally different locations. It suggest one might be able to just copy these three files. I have not received yet a reply from support, if it is safe to copy these files. If some file paths are hardcoded in that information, it may not work (i.e. when user accounts don’t have the same name, when the library is not in the same folder [even though one can set the location in Preferences], etc.). The registration code is also sitting somewhere in there – it deleted when I tried to tinker with the Library/Application Support/ folder. Overall, bad programming practice to put metadata that belongs to your data/database into Library/System folders. That may possibly even cause permission problems at some point. Do not switch from Papers 2. I loved Papers 2 and was my main reference/citation index and after I left endnote. I upgraded to Papers 3 for Mac and had all the problems related above and more. They must have never debugged their software. This created a disaster and lost the attached pdf’s and then could not longer cite correctly. If they ever fix their software and return to the dependable Papers 2, it will be difficult to try again because of the time it has taken to try to get anything back. The most ridiculous problem of papers is that it is no longer able to cite references using the new Mac pages software. That means you either have to use the old version or word for Mac. What is the point here. We get a crapy software (papers 3) that doesn’t allow you to sync your library if you don’t have dropbox and inhibits you from using new versions of pages which are better and compatible with mobile devices like iPad and iPhone. This developing team has seriously crewed-up this time. I wish there was a Mac native program for that or a different developer with better technical skills…. Unfortunately this is a problem with Pages because Apple dropped a lot of applescript support for it and the magic citations feature uses applescript. It is the most disappointing thing about the new Pages / Papers combination. I dont know Paper2 or 1 but Papers3 is sloppy, plenty of bugs that make it inconvenient in day to day usage. I am shocked its so poor because there is such a need for this type of software, it should not be so difficult to devote a proper effort to do this right. Is there anyway to import my papers 3 library into papers 2 (I never had a papers 2 library) ? I decided to try papers a while back as I had heard good things….but I started (stupidly) in papers 3 hoping that the development team would put some effort in to bring it up to scratch. Apparently this is not the case, making papers 3 unusable ! It looks as if papers 2 has the features I want (wifi sync for example !!!) but if I have to go through the hassle of migrating reference managers AGAIN I don’t know what I’ll do. I’ve found PDF Stacks at http://www.PDFstacks.com a much better tool than the new Papers 3 version. I made a mistake upgrading. Papers 1 was the best but things are heading in the wrong direction and now do everything with PDF Stacks. PDFstacks.com is a much better solution and alternative than Papers 3. I did not know that software. Thanks you. The main issue might however be that for the purpose of scientific research, organizing PDF files is not enough (DevonThink Pro Office does this very well by the way and much more), we must be able to use the software for citation purposes. At first brush, PDF Stacks does not seems to support this crucial function and therefore could be considered a viable alternative. I’ve also had problems with references disappearing, having to manually match papers, searches with author names not recovering the correct reference etc, etc… It’s a total disaster, and I strongly advise against using this software. I’m having a ton of trouble with Papers 3 and I am mid an intense time sensitive issue. Problems vary from freezing, having to manually “match” most every paper, MS word not recognizing citations that are in Papers 3, not being able to search for authors that exist in Papers 3 without getting all 100+ articles that cite them in the manuscript (I just want the original article!). Anyways, I want to revert back to Papers 2 since it is less buggy. Does anyone know how to do this? I started and bought Papers 3, but want the older version. I’m hoping that will solve the problem. Have to agree with almost every comment here. Upgraded to Papers3, wished I didn’t, went back to Papers 2. Papers 3 appears to have been completely re-writted in some sort of cross-platform development framework which allows code to run on both MSWindows and OSX. Problem with those frameworks is that they run on all platforms non-natively, its is always a huge compromise. And in this case, the compromise wasn’t worth it. The new look is also terrible. It fits less information on the same screen than Papers 2, and it picks particularly low contrast theme that makes all information to appear the same, making it very hard to scan at a glance. Lots of space is just wasted. 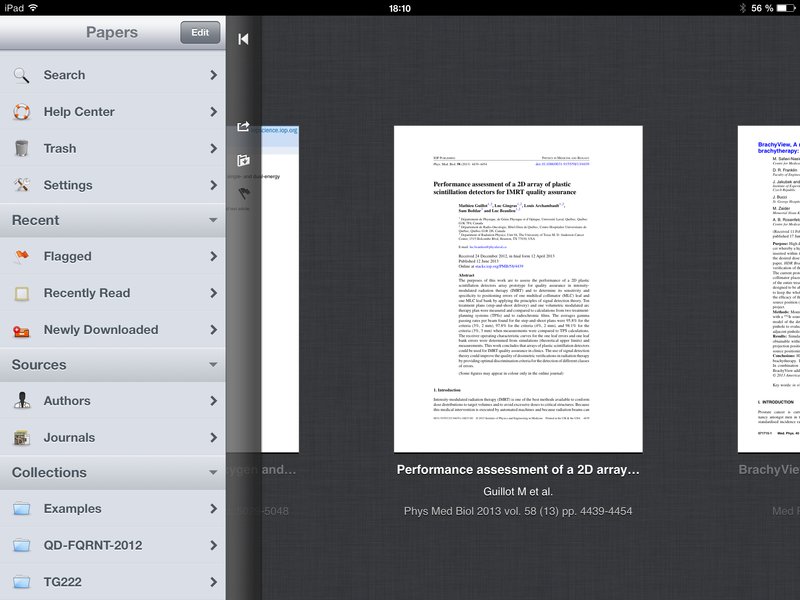 One of the best features of Papers 2 was the iTunes-like coverflow browsing of papers. This worked as well as it did in iTunes, smooth animation and high-resolution previews of the documents that made them easy to recognise at a glance. In Papers 3, this feature still exists, but instead of using native implementation they re-wrote it using the cross-platform framework. The results – jerky animation, low resolution previews. Feature parity on paper, useless feature in reality. I have never had such bad experience with any software. Papers 3 is definitely the crappiest software I have ever seen. It makes me angry constantly. I can’t help wondering if the development team has a normal IQ. Cannot recommend Papers 3. Long time user of Papers (1, now 2). Attempted upgrade to latest version of the 3 beta, using my Papers 2 database of over 16K references with pdfs (a copy, thank Heavens). Upgrade disassociated over 1000 pdfs from their references. Pdfs were still there, but selecting reference showed ‘pdf missing’, when a string search on the title found it. Other issues as well, but lack of reliability is #1 problem and a deal killer for me. Stick with Papers 2 until the former Mekentosj folks get their Springer bosses to cough up serious development resources. Be honest, step by step I come to the conclusion that Mekentosj has a weak development team. when the synchronization via Dropbox is on. The answer was “it helps in synchronization”. common with the synchronization, if they did this means “bad design”. Papers 3 has a lot of problems with the correct synchronization between Mac and iPad. synchronization on and off sometimes help. I hate this crappy software,… but I did not find anything better… at reasonable price level. Janos, have you (or anyone else) found a way of avoiding the intensive data exchange problem? I’m on papers2 at the moment, and the data exchange issue would be an issue for me. Also – what do you mean when you say “there are correct pdf’s that blow up papers 3”? Don’t upgrade if you do not want or can use dropbox. My library is 8 GB and I am running a copy of it on my home and office computer keeping them in sync using daily file updates via a USB stick. I was happy (Papers2). This approach does not work anymore because of “double bookkeeping” of Papers3. Papers3 keeps a database in your designated “library folder” as did Papers2. In addition, it keeps a full duplicate “library folder” in User/Library/Application Support/Papers3/Library_data/. Interestingly, most data (PDFs, Styles, Books) are stored in User/Library/Application Support/Papers3/Library_data/ and not in your designated library folder as in Papers2. Wouldn’t be to bad if Papers3 would not keep track of the computer on which the database was created and/or modified. This is most likely coded into the folder name in User/Library/Application Support/Papers3/Library_data/ that in my case is something like “D25M915CF8JC__D6FB00F3-E95E-471A-BA48-86F350510633”, a string that is not modifiable without corrupting the library. That also means, if you copy the folder to another computer, Papers3 (identical registration number on both computers) will not open your database and will look for one that was created on that computer. If it does not find one it will ask you to create a new one. In conclusion, this version of Papers is completely useless if you want keep libraries among different computers in sync without using dropbox. The way I’m using Papers3 right now is to launch it once a week with the automatic upgrade option turned on, hoping that one day in the future a version pops up that brings hardware syncing back to me. hello Jo, thanks for your comment here. I used Papers 3 until some weeks ago and you answered the last question I asked mekentosj support (still no response) before downgrading again. I need to keep a mobile and a stationary Mac synced, but I do not want to use dropbox (it’s not allowed in our institute anyway) so I tried it manually with a USB stick. I was close to getting crazy. At the moment I try a “semi-automatic” approach using the cloud app of my NAS at home – and Papers 2. I was able to resolve my issues with text searches in Papers 3 by rebuilding the Spotlight index within Papers 3: Help>Troubleshooting>Rebuild Spotlight Search Index. the search thing is just crazy. i’m not sure what happened with Version 3 – but it’s REALLY REALLY bad. I came across your article while searching for Papers 3 reviews. I’ve been using Papers 2 on my Macbook over the last year or so, and I’ve loved it so far. I haven’t downloaded Papers 3 for Mac yet, and I don’t intend to do anytime soon so based on the reviews I’ve read today. I bought my first iPad today, looking forward to sync my Papers 2 library the iPad so I can read my journal articles on the move. Little did I know that I would need to upgrade to Papers 3 for Mac to make full use of the sync function between my Mac and my iPad. Also, little did I know that this sync would be done via Dropbox. I should have done more research beforehand! Anyway, I’m now trying to find the best way possible to transfer my existing Papers 2 Mac library to my iPad, without having to first download Papers 3 to my Mac (and subsequently, the Papers 3 app to my iPad). I don’t plan to download Papers 3 on Mac or IOS, at least until Mekentosj incorporates their customers’ feedback to improve the product. The only way I can think about doing this is to download the older IOS version of Papers (Papers 1) to my iPad, and to use the wi-fi sync function to sync my existing Papers 2 library with my iPad. Before I buy the product though, I’d like to know whether this wi-fi sync function is still available on the older IOS version of Papers. Do you know if this is so–and can you give me any additional advice regarding my issue? Yes WIFI sync between Papers 2 and the older version of Papers for iOS works very well. I’m having exactly the same problem as Val! But if its possible to have an older version of Papers for iOS and sync it with Papers2, where can I find that version? Just going through similar woes. Having paid for the upgrade to the official release 2 days ago, I now discover that even using Chronosync to back up to a local external hard disk corrupts the database, time after, requiring a re-install of the program and a re-import of my 36 GB, 11,000 record database. returning to Papers2 for the moment, looking for alternatives in case of need – Bookends seems like a reasonable cheap, well-supported piece of software, and might look at Zotero. Definitely averse to using cloud services. I am in the same situation. My Papers2 library has about 8GB and I definitely do not want to pay for extra cloud storage. This is a major drawback of Papers3 and I think I´ll go back to version 2.I really wonder why Mekentosj skipped the WiFi sync! Thanks for providing this review. Papers 3 is a joke – I tried it recently and it does not even return simple search results, even for Nobel laureates! Devs have stopped allowing comments in public forums and do not respond to support requests effectively. Papers 3 is a massive fail. Don’t upgrade. Same frustration here, plus the new library bundled format which prevails other tools like DEVONthink to have access to my PDF collections. I am really torn between the two versions because version 3 is so much faster with my library (7200 records) than the previous version.